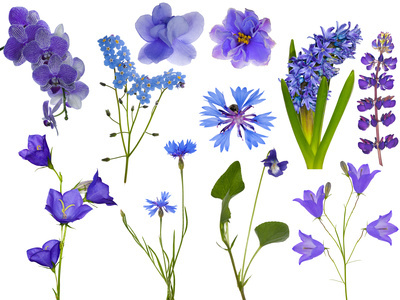 Different Types Of Flowers. Flower Types. Monocots And Dicots. All Types Of Flowers Can Be Placed Into Two Main Groups: Monocots or Dicots. Different types of flowers (the Angiosperms) can easily be identified by dividing them into Monocots or Dicots. By just looking at one flower we should soon be able to identify it as one or the other. This not only makes it easier to pick out the different flower types, but it is very interesting to know exactly what we are looking at. 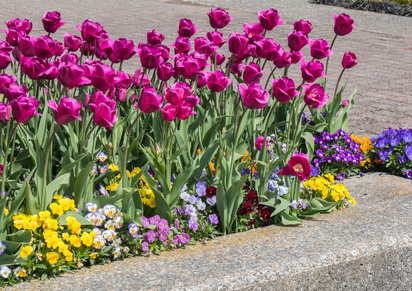 There are other ways of classifying flowers, especially Annuals; Perennials, Biennials and Ephemerals; or even by the way they reproduce such as Sexual Reproduction and Asexual Reproduction eg. Bulbs. These are the terms most useful to gardeners, whereas classifying by Monocots and Dicots is very basic but is very useful if you are really studying flowers or just want a general understanding of them. Of course the one other big way is by Botanical Names and Classes, etc. But that's for the Botanists. When we try to group flowers into Monocots and Dicots, just remember that there are always exceptions when a flower doesn't seem to be one type or the other. Sometimes there are fusions of petals and leaves and other parts making it very confusing. If ever you find any types of flowers which just don't fit and you want to know their names, it's a good idea to either take a flower to your local Botanical Gardens, or send them a photo. They are really helpful with ID in different types of flowers. Of course the local nursery usually has the ID we want. This Portulaca has narrow leaves and the petals are not clearly defined. Because the leaves look like Monocots (not branching), I would have assumed that this was a Monocot. But it is definitely a Dicot Flower as you can see below with the broader leaved form. It is a good example of just how tricky Nature can be. The photo below is much clearer. If you click on it to enlarge it you can see the five petals distinctly. Sometimes, unless you have access to the original baby seed leaves of a flower, things can get pretty tricky. 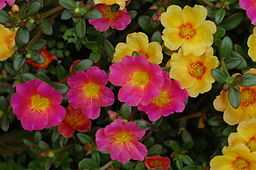 Portulacas (above) are often called Moss Roses. They are Dicots because they have combinations of five petals. The singles have five petals and the doubles may have ten or more. But they do look so much like Wild or Single Roses that it's easy to see how they came to be considered Moss Roses. 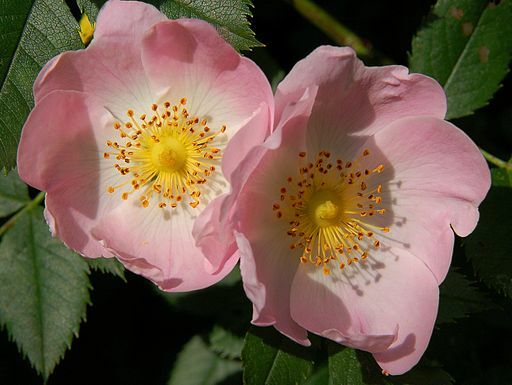 (The true Moss Rose is an actual Centifolia Rose). See more about them on the Portulacas Page. Here you will see just why these hardy, drought tolerant little plants are so popular. Besides the Angiosperms (flowering plants) and the Gymnosperms (cone bearing plants), in the Plant Kingdom there are the Bryophytes: Mosses, Liverworts and Hornworts; and the Pteridophytes (ferns, horsetails and club mosses). The last two groups still use spores to reproduce. Spores (brown) can be seen on the backs of fern fronds in Spring. This is a type of sexual reproduction. And finally Legumes are often classed as another member of the Plant Kingdom all by themselves. Examples are beans, peas, and lentils. The Angiosperms or Flowering Plants. The Angiosperms are the Flowering Plants and there are around 250,000 to 400,000 different flower types. Fortunately they can be divided into two groups: Monocots and Dicots. Note that it is only the Flowering Plants that are Monocots or Dicots. Other plants such as Mosses and Ferns are neither. 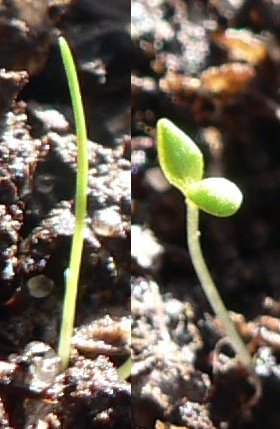 Monocots have one Cotyledon (the seed capsule where the seed develops) and dicots have two. The Cotyledon contains food for the growing Embryo/s. 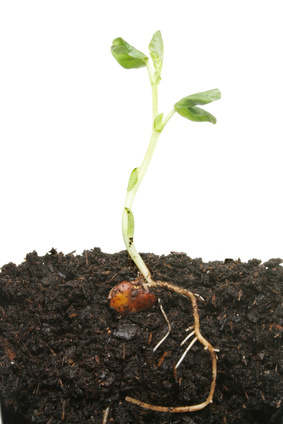 This means that when the seed develops and grows, it will send up either one (Monocot) or two (Dicot) leaves. I used to think that Dicots had two seeds. Wrong. The Difference Between Monocots and Dicots. A Monocot Has A Fibrous Root System. Monocots may have millions of individual Fibrous roots. There is no main central root. Their leaves are similar in that the veins do not branch out from a central vein, but run parallel to each other. Obviously, the roots aren't parallel but they can still cover a huge area. The Broad Bean Seedling Has A Main Tap Root. Dicots have a main Tap root with many smaller roots branching off it. Just like their leaves which have a central vein with other veins branching off it. 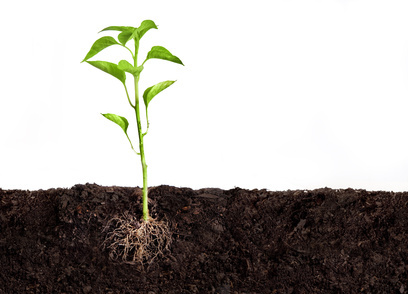 The Dicot root system can cover a huge area to get the essential nutrients for the plant. A Stunning Combination Of Tulips And Pansies. Monocots And Dicots. Beautiful. Lists of Monocots and Dicots. Lily of the Valley. Another plant to die for. I honestly would have thought that this plant was definitely a Dicot because its leaves are so big and fat. But don't be fooled. This is a great photo where you can definitely see that although the leaves are broad, the leaf veins are parallel. Definitely a Monocot. 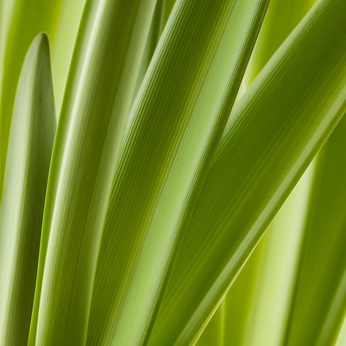 So many of our delightful Spring Bulbs are Monocots, usually with narrow blade-like leaves. 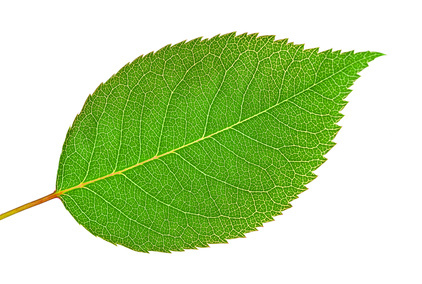 The Rose Leaf, on the other hand, is a Dicot because it has a main vein with other veins branching off it. 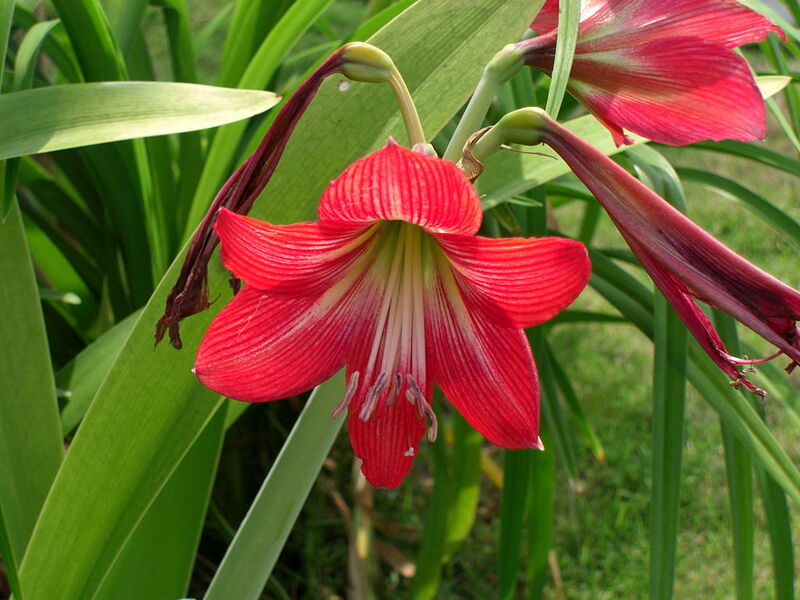 The Beauty Of The Red Amaryllis (Hippeastrum). The Hippeastrum. In this beautiful photo of a Hippeastrum (Amaryllis) Flower, you can clearly see that it has six petals which are actually three Petals and three Tepals - see these on the Parts of a Flower Page - and narrow leaves with parallel veins, making it a Monocot. Note: Not all Monocots have Tepals. Some do, some don't. Photo Credit. Close Up Of Amaryllis Leaves Showing The Parallel Veins. A Rose Leaf Showing Its Veins Branching From A Central Stem. Links to Pages about Some of These Flowers. Delightful Yellow Daffodils. Six Petals On Each Flower Make It A Monocot For Sure. 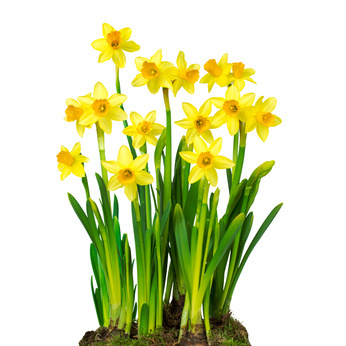 The Daffodil is a Monocot. You can clearly see six Petals on each Flower. But are they all really Petals? For even more detailed information, the Seed Site has it all. And if you want to see something truly amazing in the world of flowers you must not miss this page: Find out the secret of the Daisy Flower and the Gerberas. This Is A Test. Is This A Moncot Or A Dicot? 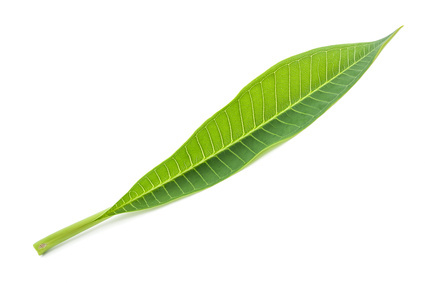 This is a Frangipani Leaf. (A Plumeria). To find out the answer, all you have to do is find a picture of a Frangipani Flower and count the petals. You can trick your friends with this one. The answer will be right at the bottom of the Oriental Lilies Page. Oriental Lilies. Notice the big fat leaves? Just as the leaves on the Lily of the Vallley, they have Parallel Veins. This flower, too, actually has three Petals and three Tepals. Close Up Of A Nasturtium Leaf. So is this leaf a Monocot or a Dicot? Where is the main central vein? The answer is at the bottom of the Nasturtiums Page. These beautiful Oriental Lilies are called 'After Eight'. If you click on the picture you can see that each flower has three large petals and three smaller tepals which protect the bud before it opens. It also gives you a good look at the leaves. You can just see that the veins are parallel. So it's definitely a Monocot. Photo Credit. Beautiful Pink Wild Rose (Rosa canina). The Dog Rose. Five petals and branched leaf veins. A Dicot plant. Photo Credit. So when looking at all the different types of flowers, I hope you feel a bit more confident about which group they belong to. 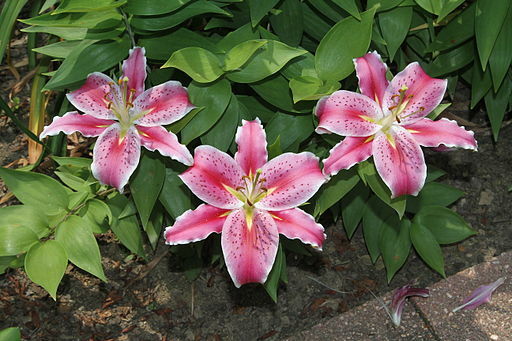 See also the Oriental Lily, a Monocot. 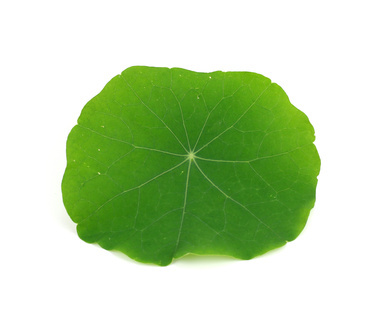 And a favourite Dicot of mine (apart from Roses) is the Nasturtium. A flower with eight petals, the Lesser Celandine. A Dicot. Look at this. 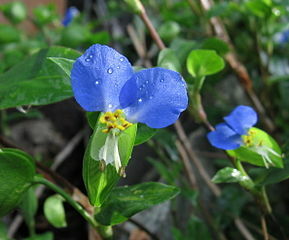 The Day Flower (Commelina communis). This beautiful flower (endangered in some regions) actually has three petals (if we could see it in detail and take it apart). They are fused, so they look like two petals. But it's still a Monocot. This is an example of how different types of flowers can be deceptive. Also its leaves have parallel veins. Photo Credit: User EHM02667. 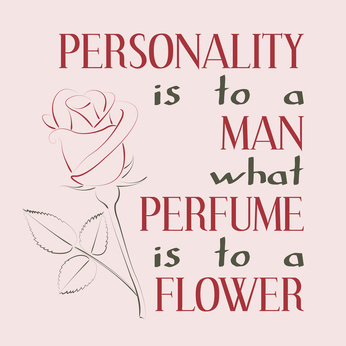 Pages About Different Types Of Flowers. 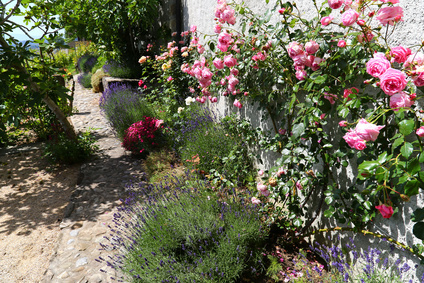 Return from Types of Flowers to Home Page.